Carol Fleming (accordionist) began her musical journey at the age of six in Cleveland, Ohio playing the piano accordion and singing, specializing in East-European music (Swiss, Slovenian, German) and American standards. 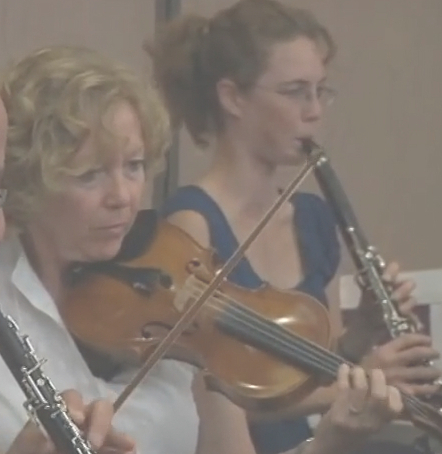 Her repertoire expanded to include Jewish Klezmir & French/Cajun music. She performs at various Ohio festivals and has made several television appearances. 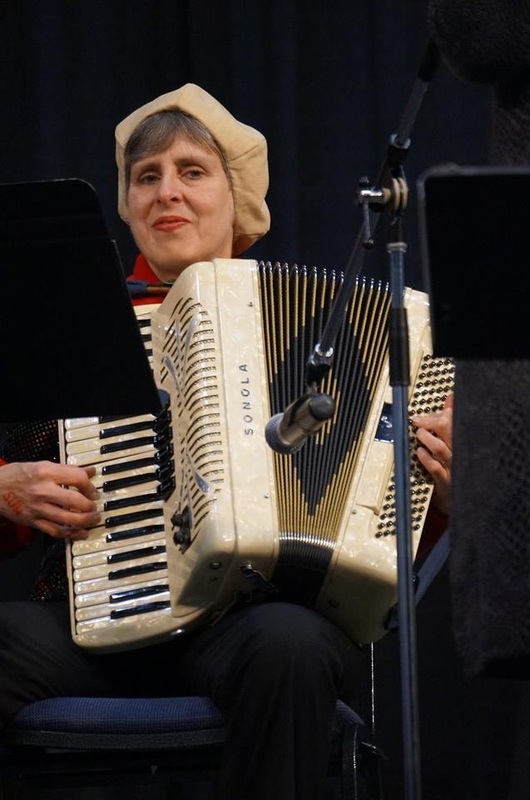 In addition to performing with Ben Gelber’s Friday Night Live Music ensemble and the Central Ohio Squeezebox Society, she helps nourish the spirit throughout the Central Ohio community at various non-profit organizations including Life Care Alliance, Kids ‘N Kamp, and Goodwill Columbus. She also is the FNL Music webmaster. Cindy Leland is a well-known voice in central Ohio. She has served Temple Beth Shalom, Congregation Agudas Achim, and Congregation Beth Tikvah as Music Director, choir director, service leader, and Cantorial Soloist, and has served many years as soprano soloist and chorus member, providing music for religious services, concerts, and interfaith programs. In Israel she served as a Chazzanit occasionally for congregations in Netanya and Rosh HaAyin, and regularly for Beit Daniel, the largest Reform congregation in the country, and in 2007 performed at West End Synagogue in London, UK. Leland has performed in Israel and all over Europe as a soloist with the Israeli choirs Galron Singers (Kfar Saba), Eli Gefen Chorus (Tel Aviv), Jeanne Rabin’s “Rosh Tov” (Rosh HaAyin), and the Beit Daniel synagogue choir in Tel Aviv. She is a member with the highest ranking of Omanim, the Israeli State Artists’ Academy. Her repertoire spans the great classical choral works, the “Great American Songbook,” American folk music, Israeli pop and classical works, and European pop and folksongs, and she sings in eleven languages!